After Zika terror the yellow fever has now risked the lives of people in Congo after its outburst in Angola. After 225 deaths and 1,600 infections in Angola the infection has been reported to spread in Congo. More than twenty one people have already died due to this infection. Yellow fever is a viral infection caused by biting of infected mosquitoes and it kills half of the patients with severe infection when left untreated. It may cause jaundice in infected patients and thus referred as yellow fever. 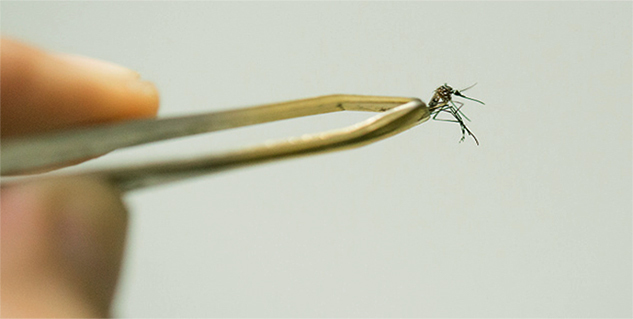 Once this mosquito infects a healthy human, it incubates for 3-6 days in body and shows no symptoms. Then the acute infection starts with visible signs like fever, muscle pain with prominent backache, headache, shivers, loss of appetite, and nausea or vomiting. Mostly patients recover if the treatment start in this phase and the symptoms disappear after 3 to 4 days. In severe cases the disease starts affecting body systems. This occurs after 24 hours of initial infection and is reported in 15% of total cases. It is characterized by jaundice and abdominal pain with vomiting. Sometimes the blood appears in the vomit or faeces. The virus is endemic in tropical areas of Africa and Latin America where it may risk the life of almost 900 million people. Who declared this outbreak of last week as "the most serious outbreak of yellow fever" in last 30 years in the country? The same time the director general of Angola visited and evaluated the ground level difficulties the local health care professionals were facing. WHO has already provided vaccination International Co-ordination Group emergency stockpile and 5.7 million people were reportedly vaccinated by end of March this year. Now the stock is depleted and cannot help the situation. This in turn is expected to infect more healthy people with negative outcomes. What is the diagnosis of Rocky Mountain spotted fever?